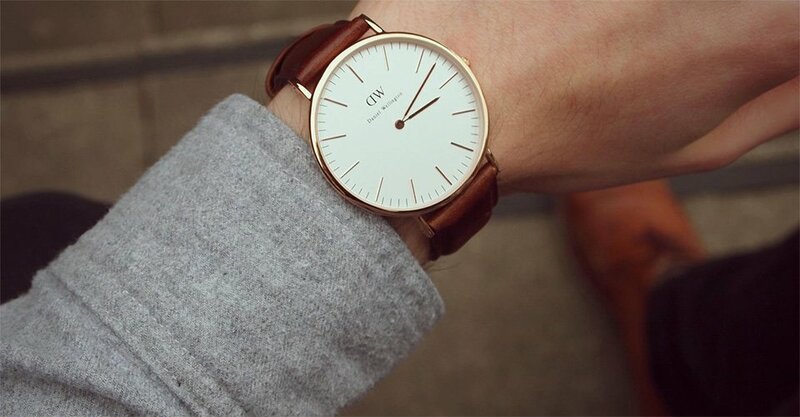 Daniel Wellington has been getting a lot of traction the last few years, both in Sweden and abroad, and their success is well deserved. During the family trip to Northern Italy in the end of the summer, my Jacob Jensen Dimension 880 wrist watch broke. The black leather strap has been under a lot of stress on the hot trip, and I hadn’t had the good judgment to leave it on the hotel room. I’ve had that watch for years and love it for it’s reserved elegance, but I had already considered supplementing it with a new watch more in tune with how I dress these days. In the end, I chose the Swedish wristwatch brand Daniel Wellington. Daniel Wellington has been getting a lot of traction the last few years, both in Sweden and abroad, and their success is well deserved. The Daniel Wellington watches sport clean design and a solid build quality, which is a really good value for the modest price of 200 USD. I opted for the rose gold case with a Classic St Andrews brown leather strap. I’ve worn it on my wrist pretty much daily since August.